Learn simple serging... Cedolia, Diana. Sewing accessories a... Mueller, Jamie. Learn easy sewing sk... Mason, Lorine. The magic pattern bo... Barickman, Amy. The Colette guide to... Clair, Alyson. Connect the shapes c... Eckman, Edie. Crochet / by June Gi... Gilbank, June. Knockout knits : new... Nelkin, Laura. Chunky knits : 31 pr... Little, Ashley. Loom knitting primer... Phelps, Isela. Knitlandia : a knitt... Parkes, Clara. Kaffe Fassett quilts... Fassett, Kaffe. Tula Pink's cit... Pink, Tula. The quilter's a... Kosbab, Kevin. Quilting the new cla... Muska, Michele. The improv handbook... Wood, Sherri. 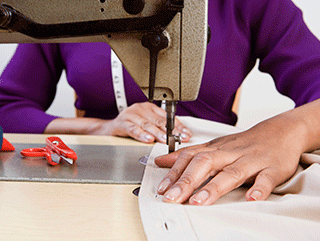 Get hands-on experience and explore the world of creating your own clothes and home décor. We have classes designed for all levels. Come to our Open Lab: Ask a Tech Sewing Lab and get personalized help with your sewing project! Let’s get creative together! 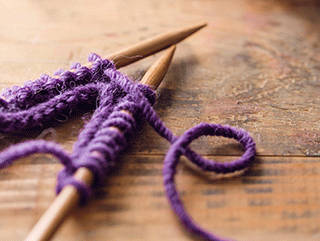 Discover the joy of knitting in hands-on classes for beginners. With just basic stitches, you can produce unique garments and crafts. Come to our Let's Knit to discover new projects and expand your knitting skills. New hands-on crochet classes are designed to introduce the beginner to successful, independent crocheting with basic techniques. 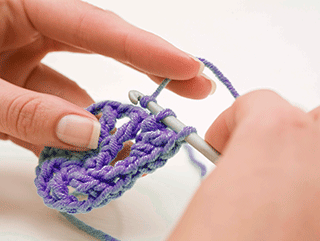 Come to our Crochet Alongs to discover new projects and expand your crocheting skills.